There are a lot of factors to consider when choosing architecture graduate in Perth who would design your homes for you. Three of the most important factors that most homeowners and would be homeowners are concerned about are: aesthetics, cost, and quality. Out of the three, aesthetics is probably one of the easiest to check out. You could just look at the portfolio of an architecture graduate in Perth and you would already have an idea of his or her design philosophy. Of course, it would be easier to go with architecture graduate whose work you admire, but if you do not have the faintest idea of how they work, you could check out one of Perth’s own: Anthony and Associates. Samples of their work could be easily viewed on their website. The graduate of architecture at Anthony and Associates knows that it is a collaborative effort to get the home design that a person truly wants. As such, they know how important it is to listen to what the client needs and what the client wants. They ensure that every aspect is being tackled. One of the most important factors that homeowners consider when looking for a graduate of architecture extension in Perth is the cost. Most people who would want to build a home or a home extension do not have an unlimited amount of money. They have budgets that they have to live with; thus, it is important that they get is an affordable one. No one would want to get into a huge amount of debt just for building their dream homes. Anthony and Associates understand that; that is why they make sure that they make it affordable for you when you sign them up. They are very much willing to work with your cost concerns. 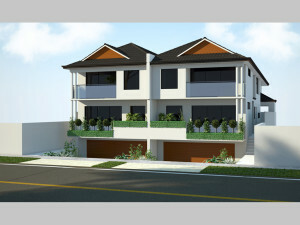 They can work closely with desired builder from very early stage of design to work within your budget. You may be one of those persons who would ask if they can maintain good quality work at an affordable price, and the answer to that is yes they do. They know that it is their company’s name that is at stake that is why they make sure that they give it their all in every project that they get. Being an affordable Perth building designer does not necessarily mean that the quality has to suffer. They ensure that in every project that they embark on, as a designer in Perth, is top notch. Whatever your budget may be, they make sure that the quality of their work will not be compromised. These are just some of the qualities that most people consider when getting a graduate of architecture in Perth. There may still be a lot of factors that need to be discussed when looking for someone to do an extension in Perth. Thus, it is pretty important to set up a meeting with your Perth building designer and ask all of your questions. You can never know if they are a good match for you and your project unless you discuss every single detail. 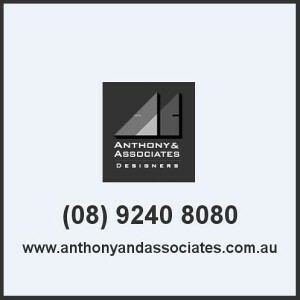 At Anthony and Associates, they are open to any question that you may have and make sure all your questions are answered. Not only that, their Perth building designer would make sure that you get the best personalized service possible. From new builds to adding extensions to your home, Anthony and Associates can do it all. Call them up now to set up an appointment with their Perth building designer so you can be on your way to building your dream project.